In 2014, Warren Buffet offered $1 billion to anyone who filled out a perfect bracket for the NCAA basketball tournament. It was a relatively safe bet, as the feat had never been accomplished and is as likely as winning three consecutive Powerball lotteries. Needless to say, the prize went unclaimed. This year, Buffet simplified the challenge and the payoff: $1 million a year for life for any employee of his who perfectly predicted the Sweet 16. The odds were slightly better (1 in 282 trillion) but still proved insurmountable. Not every bracket, however, has to be so daunting, as Bai and Disney demonstrated in their recent Wyng-powered campaigns. 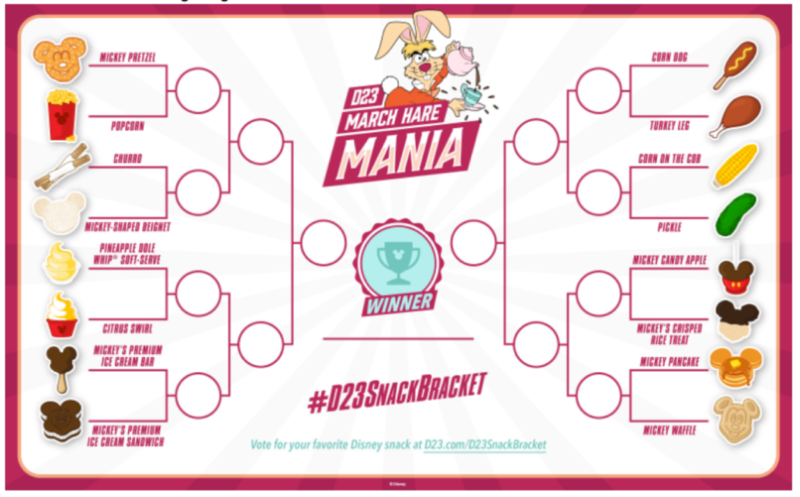 D23 March Hare Mania: Members of D23, the official Disney Fan Club, were able to join in on the fun of March Madness with the brand's #D23SnackBracket. Each week, they could vote for their favorite snack from the Disneyland theme park, whether it was turkey on a stick or a Mickey Mouse-shaped waffle. By targeting consumers who were already fan club members, Disney ensured a high participation rate. 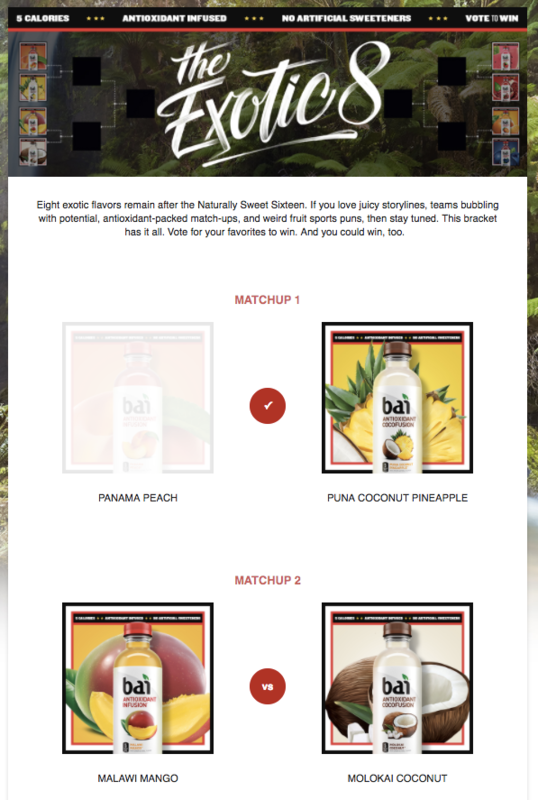 The Exotic Eight: To promote their antioxidant infused, five calorie drinks, Bai created a bracket for what they called the "Naturally Sweet Sixteen." Site visitors were presented with four match-ups between two flavors (say, Costa Rica Clementine and Brasilia Blueberry). After they made their selections, they could enter their contact information for a chance to win a case of their favorite flavor, a low-cost way to accumulate data and subscribers for the Bai-weekly newsletter. Even during the other 11 months of the year, brackets are a great way to build brand loyalty. By choosing their favorite of two options, consumers more clearly establish their own preferences, which is enhanced by the competitive nature of the contest. To further encourage participation, brands can also offer an incentive, which will appeal to anyone who didn't correctly predict all 67 games of the NCAA tournament.